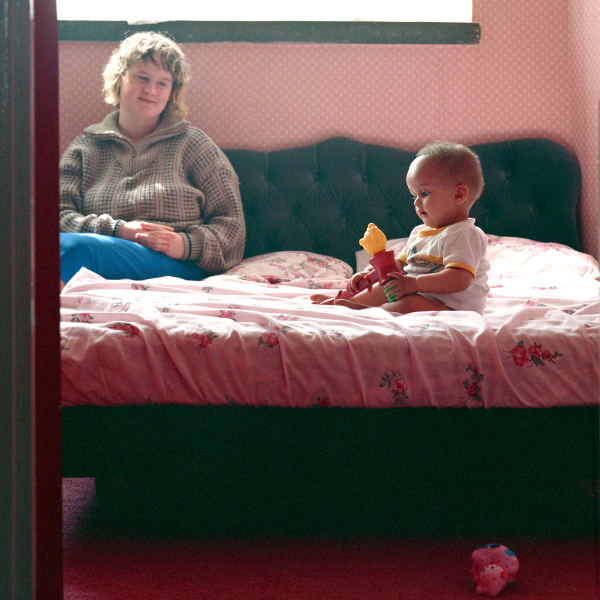 A photographic exhibition of the last residents at Hyde Park Flats, Sheffield 1988. Park Hill flats was the largest social housing estates of its type in Europe, built on one of Sheffield’s seven hills. The development was divided into two distinct areas: they were the low rise Park Hill flats and the high rise tower blocks called Hyde Park. 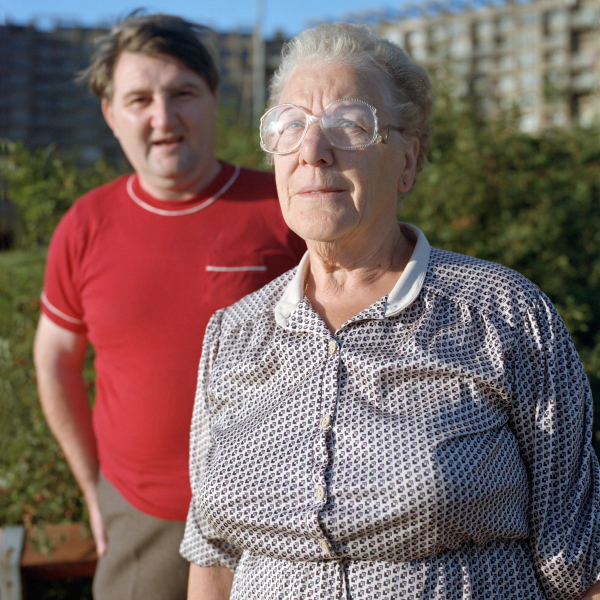 My project was concerned with photographing the last residents of Hyde Park, a development that had dominated Sheffield’s skyline for over thirty years. Influenced by new modernist architectural theories, architects Jack Lynn and Ivor Smith began design work in 1953 on the Park Hill development. Inspired by the ‘brutalist’ style and philosophy of French architect Le Corbusier. Construction started in 1957, Park Hill was completed in 1961 and Hyde Park in 1966. This scheme was considered revolutionary at the time, as access to the flats was made through walkways or decks that were open to the elements, yet wide enough to allow small electric vehicles such as milk floats to service the flats. Both estates were highly praised at the time in the belief that community life could be maintained by following ‘street’ principles.The term ‘streets in the sky’ was the style of architecture derived from these wide open decks. ‘Streets in the sky’ was an attempt to develop new social housing architecture, however, after being initially popular and successful, it was marred by inadequate maintenance, the decaying fabric of the building, the allocation of flats to unsuitable tenants, poor noise insulation and security. 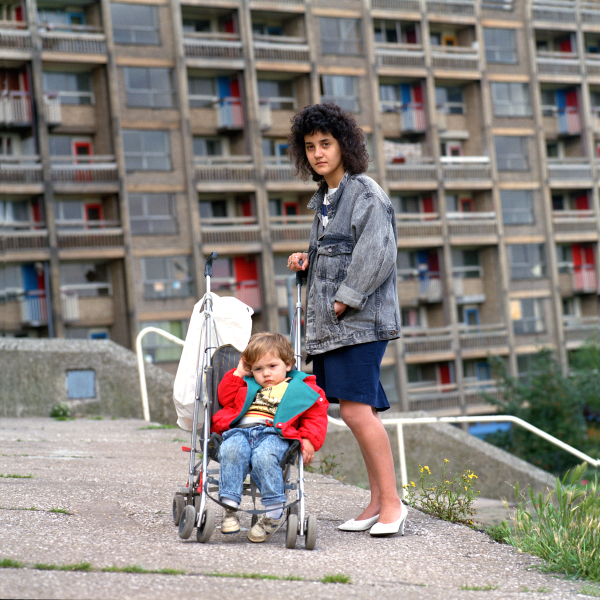 By the mid 1980’s Sheffield City Council considered Hyde Park flats to be a failed experiment in social housing and was now unviable. The last community to live in Hyde Park flats was in 1988, it was vacated during 1989-90, some flats were refurbished to provide accommodation for the World Student Games in 1991, finally, the flats were demolished between 1992-3. The Park Hill estate is currently undergoing refurbishment and was granted Grade II* in 1998, making it the largest listed building in Europe. 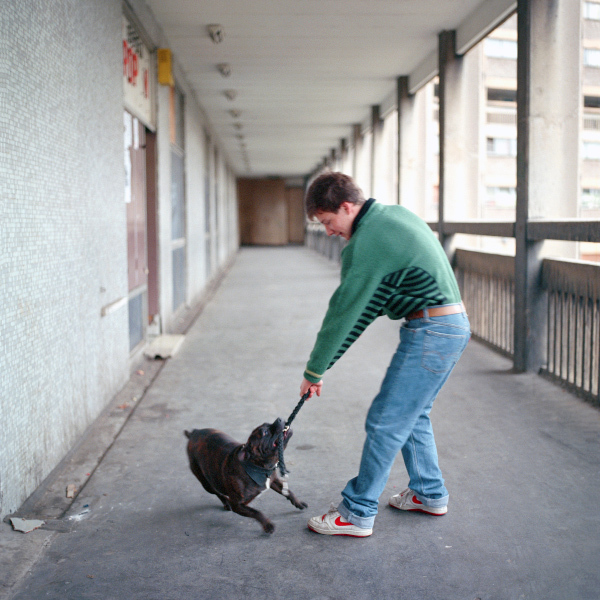 Despite the neglected condition of the building and increasing anti-social behaviour at that time, I found a close community reluctant to be broken up and dispersed throughout other council housing estates in Sheffield. I did not meet a single resident who wanted to be rehoused, despite the current condition of the flats. They considered Hyde Park to be their home, but also a significant land mark building and were proud to be tenants in such a prominent building overlooking Sheffield. Many believed that Hyde Park despite its short comings, represented a vision for social housing that was both optimistic and outward looking and that the council had made ill judged and short sighted decisions that had contributed the decline, deterioration and the eventual demolition of the building. 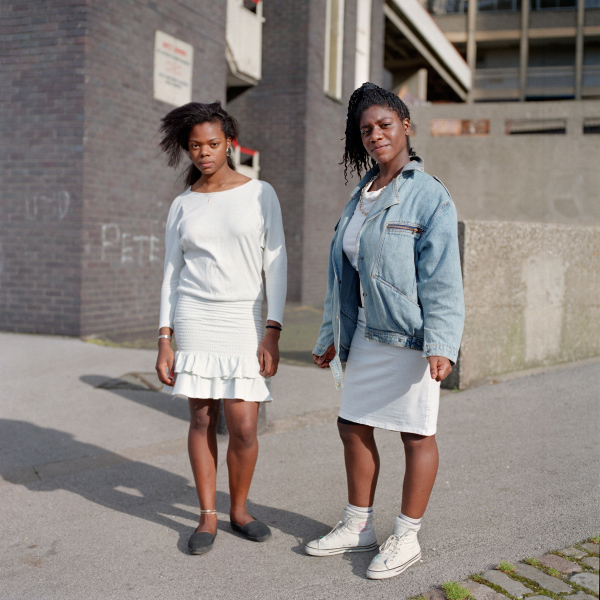 The process of photographing at Hyde Park initially proved difficult, I started photographing in May but it was not until June that I had made contact with a small network of residents who understood and supported this project, introductions and accessibility was then made possible. 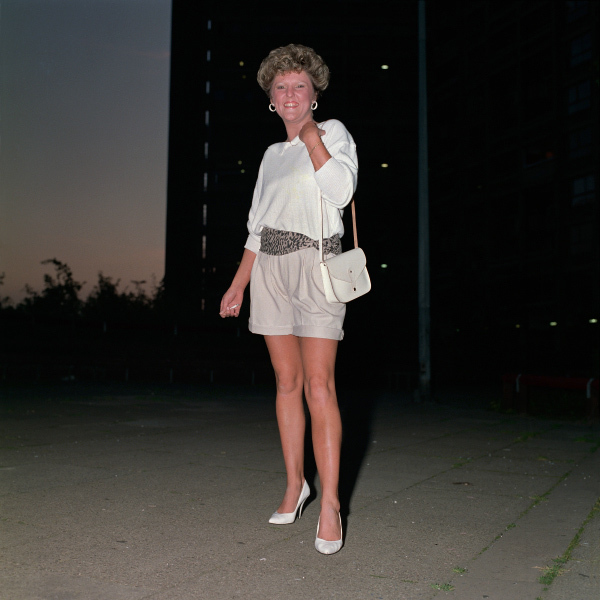 There was resistance to anyone ‘official’, so establishing relationships with ‘personalities’ on the estate was key to being able to work closely with residents. I kept my camera out of sight in a plastic carrier bag in order to lessen my impact when walking around the estate. Talking to people, looking for introductions and visiting the various facilities helped residents become familiar with my purpose. 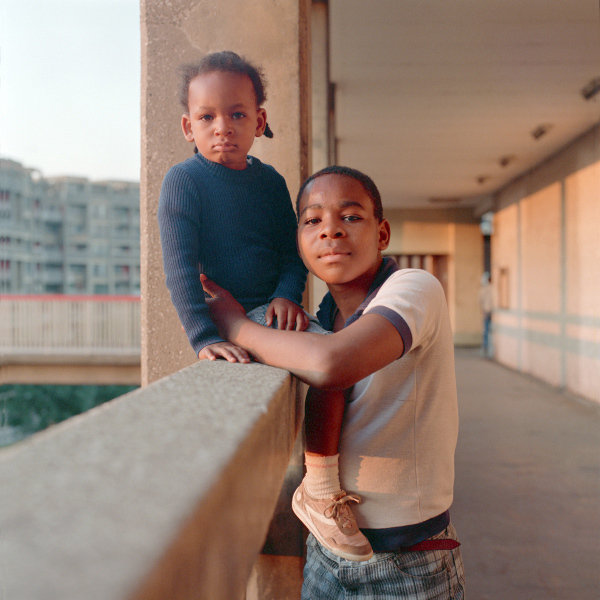 These large scale colour photographs (24″x24″) were exhibited together with 35mm B/W photographs by Roger Mayne (1929-2014), who photographed the first tenants in 1961 and later in 1966. 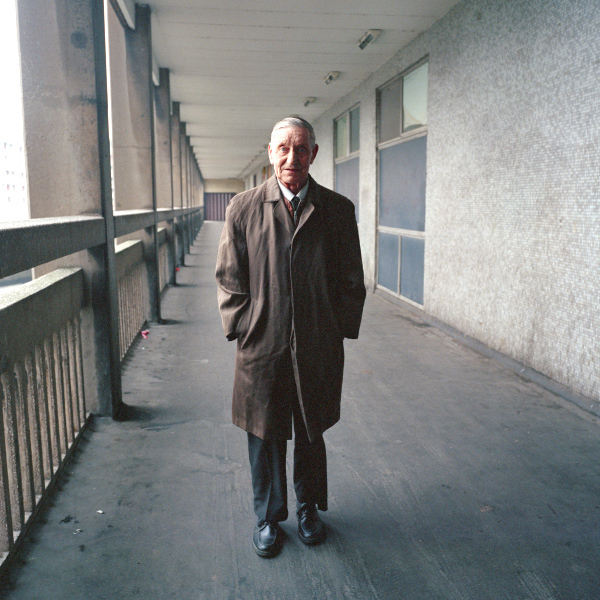 The work of other well known photographers who had produced photographs at Hyde Park and Park Hill was also represented in this exhibition. Past and present tenants were also invited to contribute their own photographs, share their stories and memories were part of the exhibition. 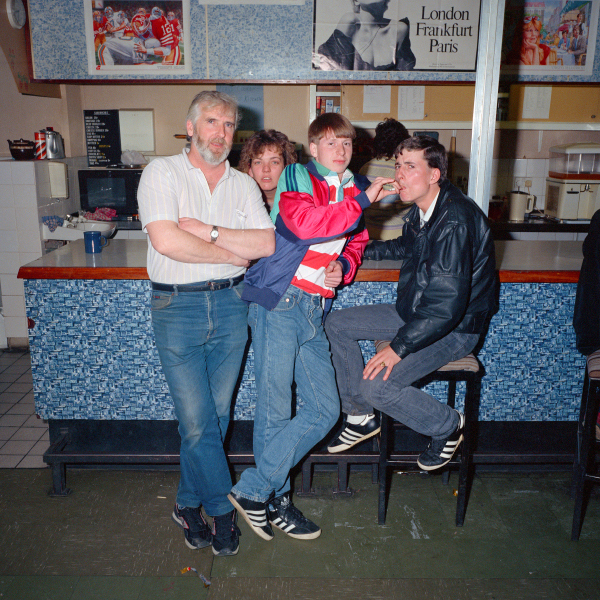 ‘Streets in the Sky’ was exhibited at The Untitled Galley, Sheffield during October 1988 and toured nationally. 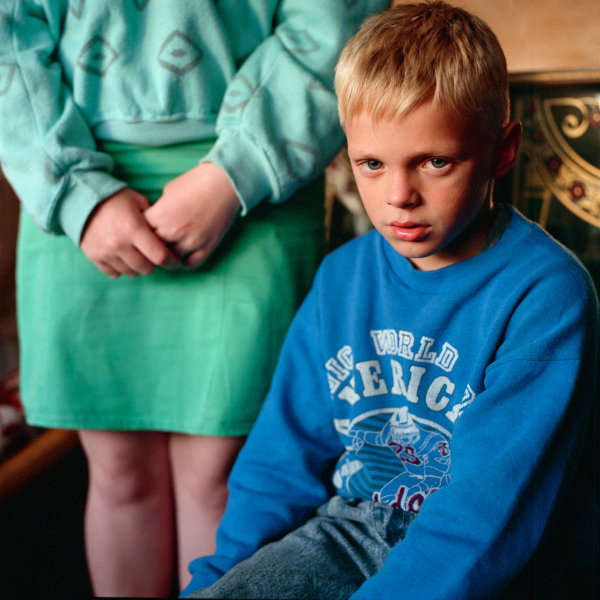 I was nominated for the Fox Talbot Award organised by the National Media Museum, Bradford for this work. 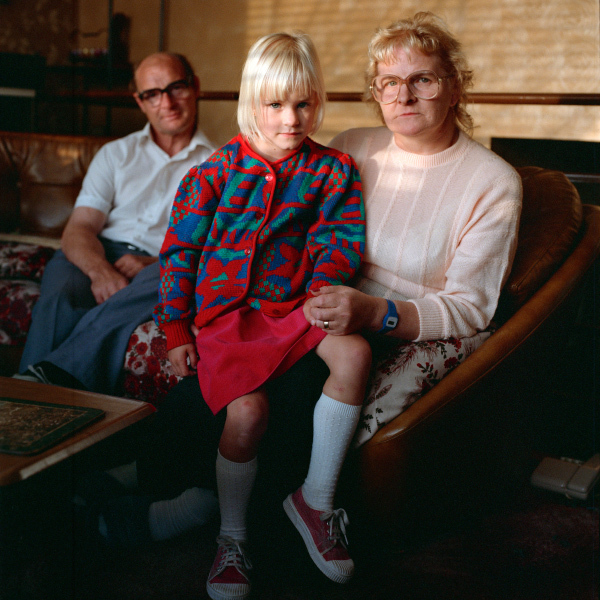 The exhibition was co-ordinated by Mathew Conduit, manager of the Untitled Gallery and was financially supported by Yorkshire Arts, Sheffield Insulations Ltd and photographic processors Masterlab. 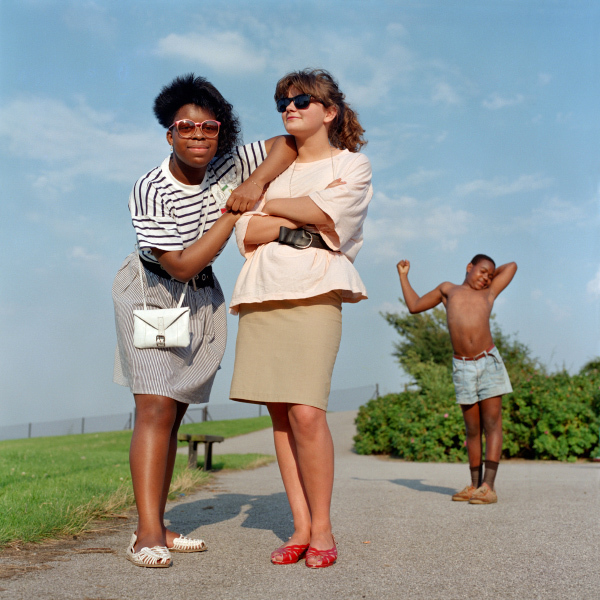 These photographs were taken using a Hasselblad 500 C/M camera with 80mm and 50mm lenses. 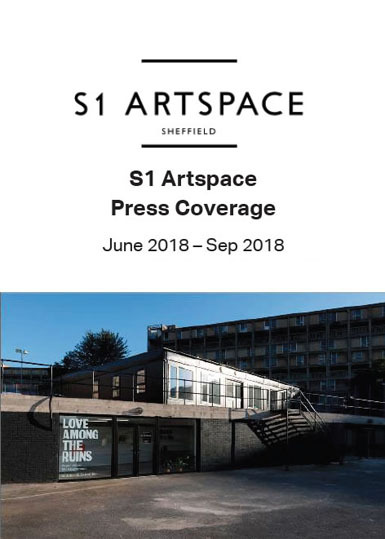 In 2018 a re-interpretation of the 1988 exhibition ‘Streets in Sky’ originally shown at the Untitled Gallery, Sheffield was selected as the inaugural exhibition at the newly constructed S1 Artspace, Park Hill, Sheffield. 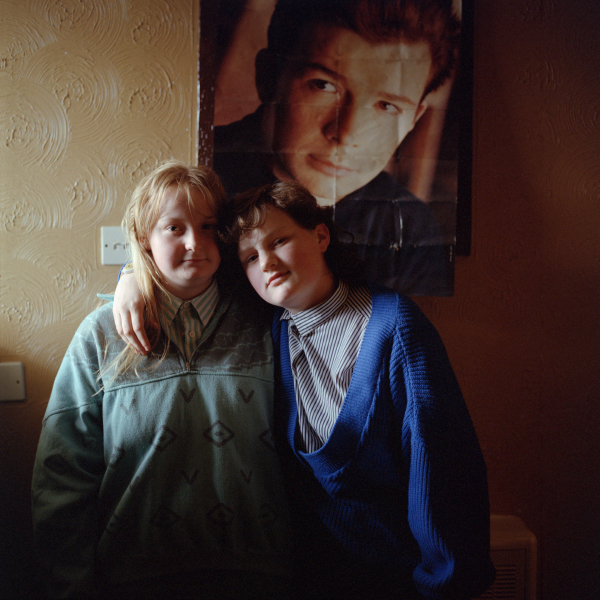 ‘Love Among the Ruins’ was curated by Laura Clarke and featured previously unseen work from myself and the late Roger Mayne. The exhibition takes its title from Evelyn Waugh’s satirical short story which imagines a dystopian future Britain as the result of an overbearing welfare state. Written in 1953 Waugh’s story foreshadowed some of the concerns about the possible social consequences of the government’s progressive post-war approach to rebuilding the country. 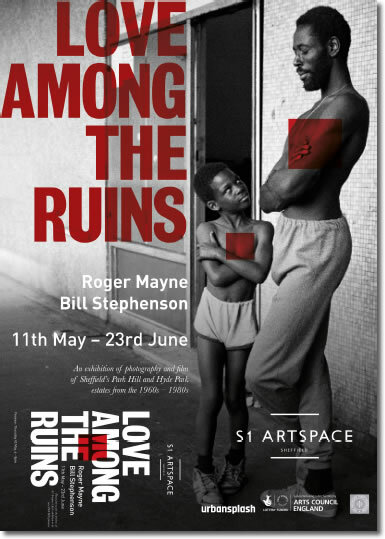 ‘Love in the Ruins’ ran from 20th July -15th September 2018. The exhibition was both popular and critically successful with over 450 guests attending the preview, additionally the gallery welcomed 4041 visitors during its 28 exhibition days. 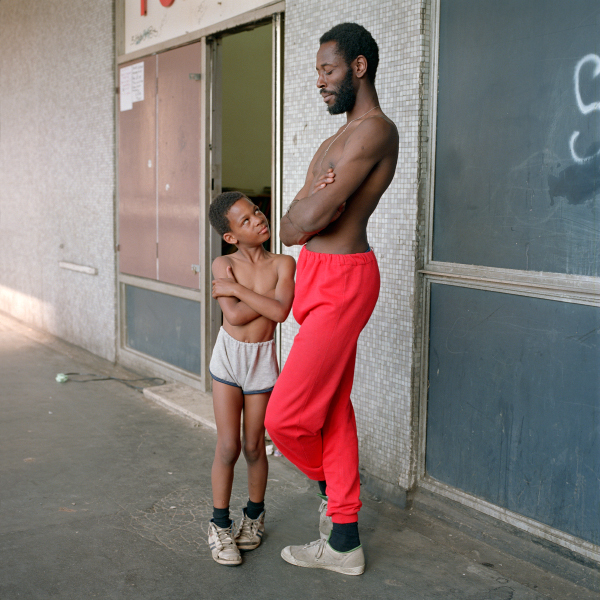 [HP 001] Tony ‘the ton’ Greaves and Martin age 8 outside the ‘Pop In Centre’. Tony was a role model to many children at the flats. He was given the nick name ‘the ton’ as the young kids believed he was so strong he could lift a ton weight. [HP 002] Jean, Eric Maybury and granddaughter Naomi age 6. Jean is the Secretary and Publicity Officer for the Tenants Association. [HP 003] Shirley Edwards age 17, Sonja Marples age 17 and Kenneth Brissit age 14. 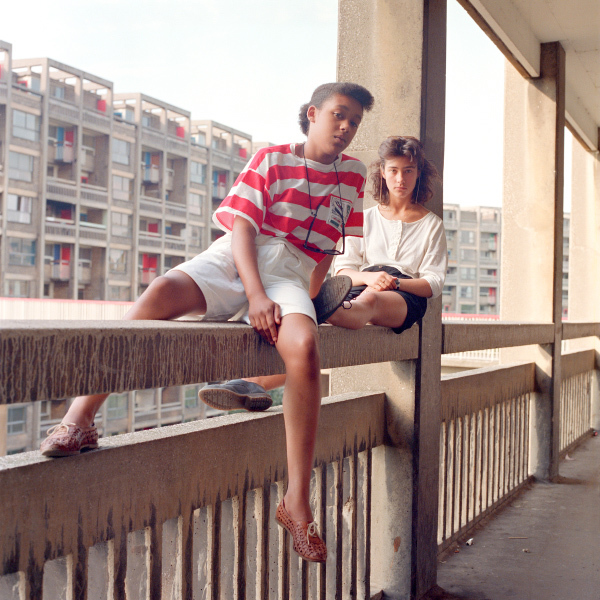 [HP 004] Donna Hargreaves age 14 and Carmen Bello sit on an unguarded 4th story concrete parapet. It was common to see young people sunbathing on these balconies. 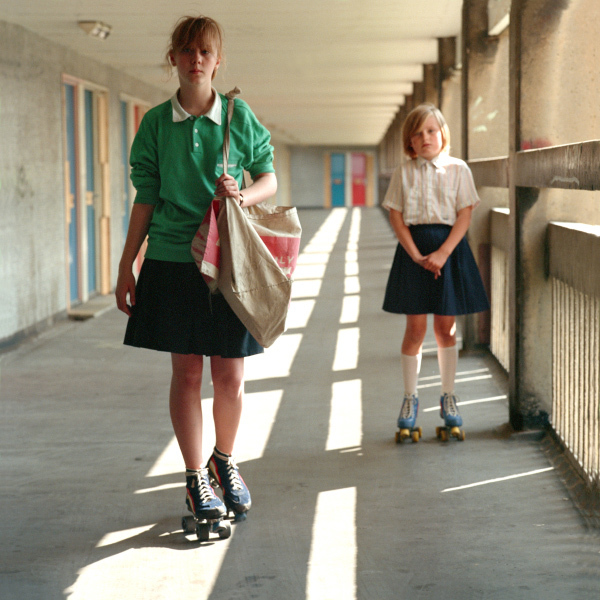 [HP 005] Roller skating paper delivery girls Anita and Emma. [HP 006] Couple on their way to the nearby canal basin for a picnic. Their children are playing ahead of them. [HP 007] Kenneth Brisset age 14 and sister age 3, on a 4th story parapet. 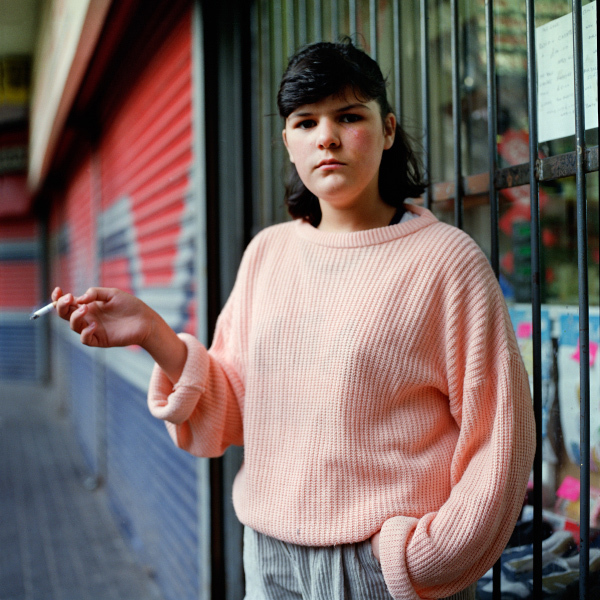 [HP 008] Girl playing out on a warm summer evening beneath a tower block. 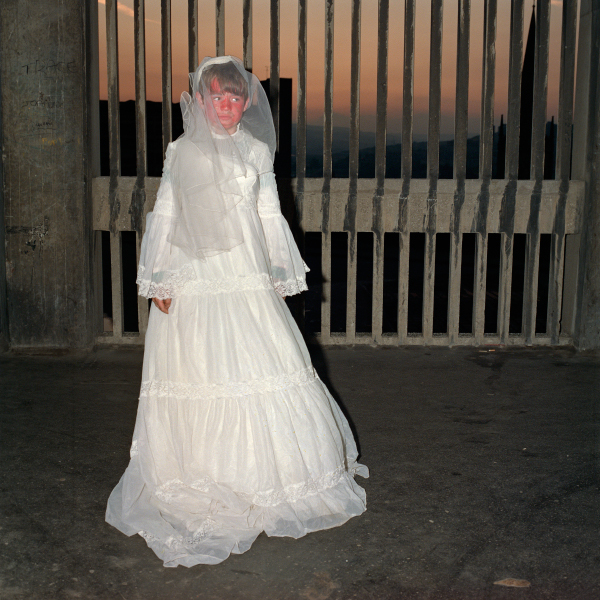 [HP 009] Boy dressed in his mothers wedding dress. He is on his way to a fancy dress contest being held at the youth club. [HP 010] Tracy heads into town for a night out. [HP 011] Dave Darbyshire. 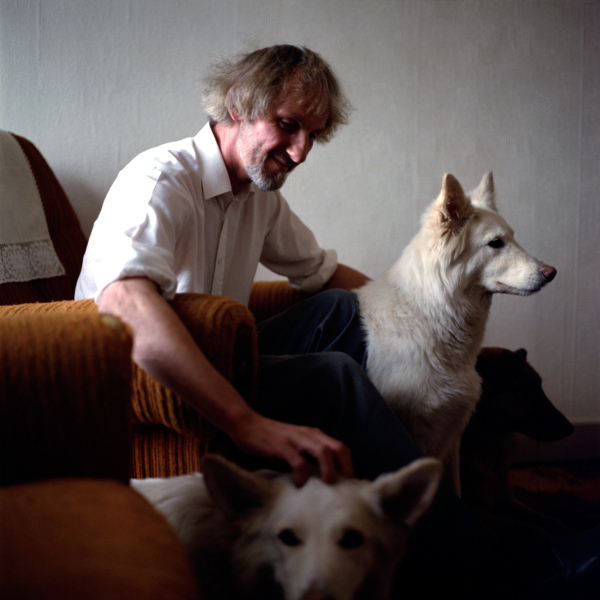 Dave is a redundant silver smith, he manages to keep his dogs hidden from the authorities, dogs are banned from the estate. 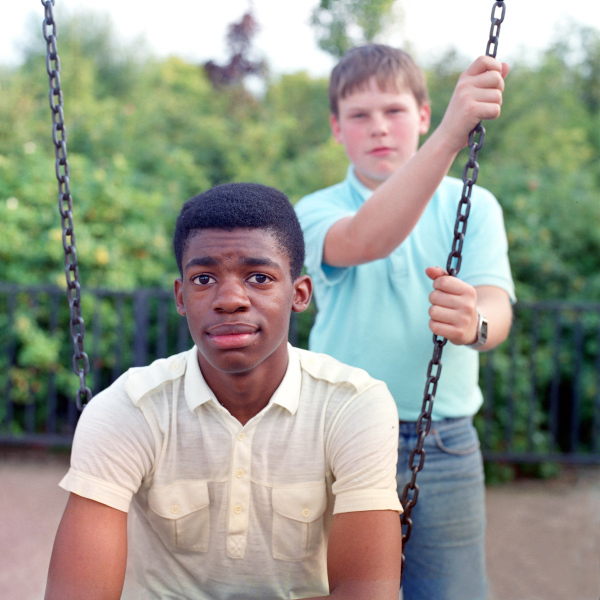 [HP 012] Leroy Edwards age 14 and friend in the children’s play area. 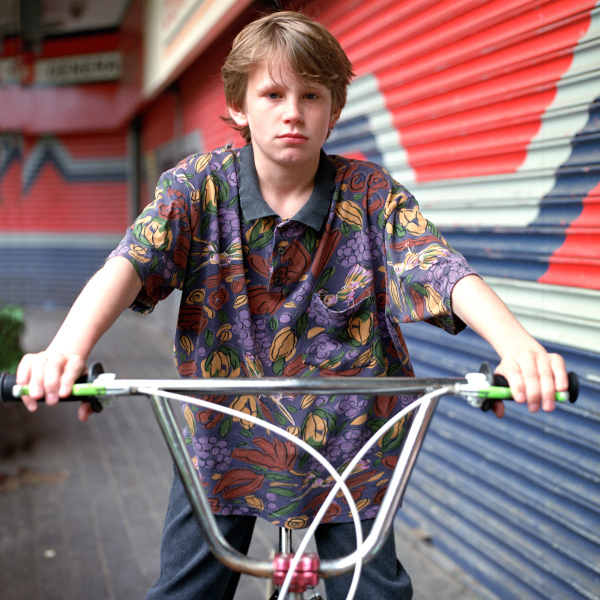 [HP 013] Peter Marples on his BMX bike en route to Sue’s shop. [HP 014] Sue owner of Sue’s Shop. 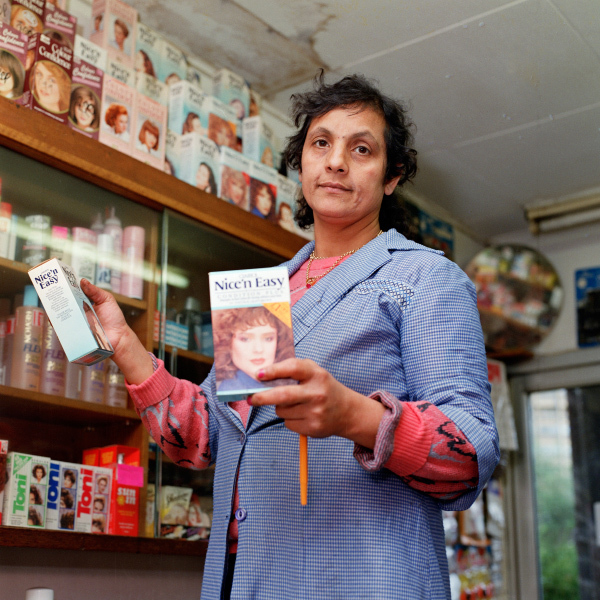 Despite the shop being regularly pilfered, she provided ‘strap’, (derived from ‘strapped for cash’), a short term loan to customers who cannot pay immediately. Defaulters names were written on cards and placed in the shop window. 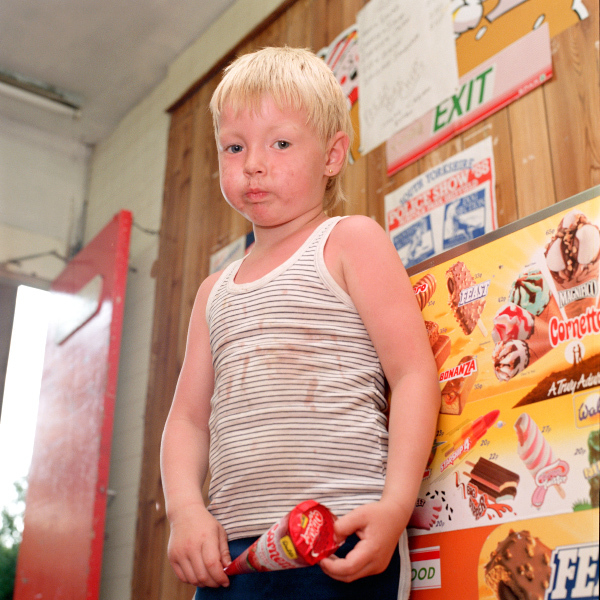 [HP 015] Sun burnt Nicky McQuillian age 4, cools down with a Cornetto at Sue’s shop. 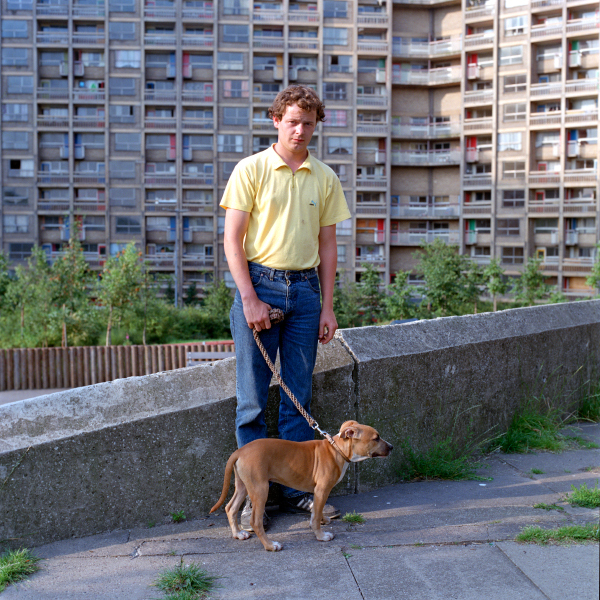 [HP 016] Man with fighting dog. [HP 017] Janet Casey age 18 and baby son Liam Kyle Perkins. 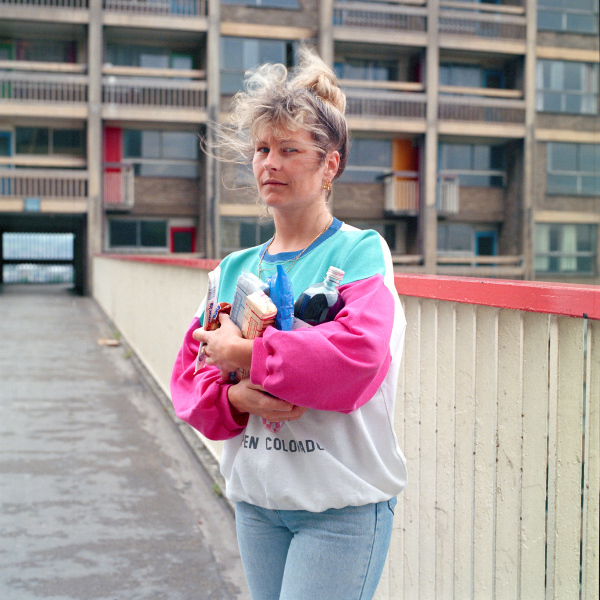 [HP 018] Woman on her way across ‘the bridge’ between tower blocks. She is carrying sweets, pop and biscuits to a children’s party. [HP 019] Single parent Pam Stewart and baby son Nathan Lee. Pam’s parents lived next door to her on Dacre Row, she can bang on the wall if she needs them. [HP 020] Young couple by a service lift. [HP 021] Tom, Anne, Pete Savage and Dean o’Brien in the cafe. 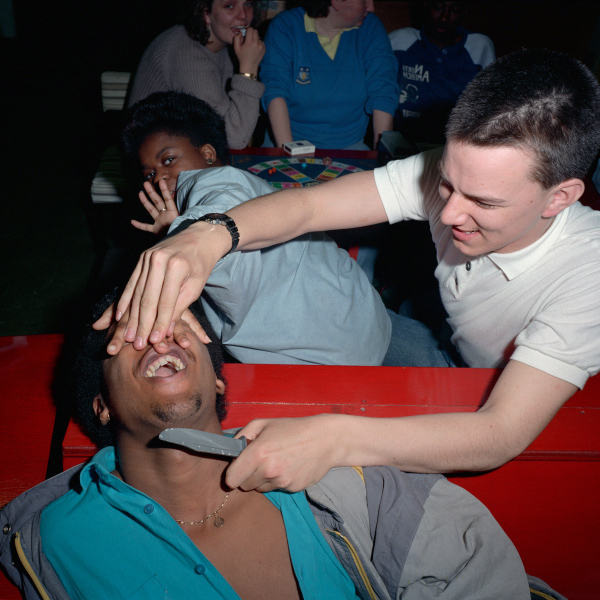 [HP 022] Dean Haigh and David Jules age 19, play fighting with a plastic knife in the youth club. 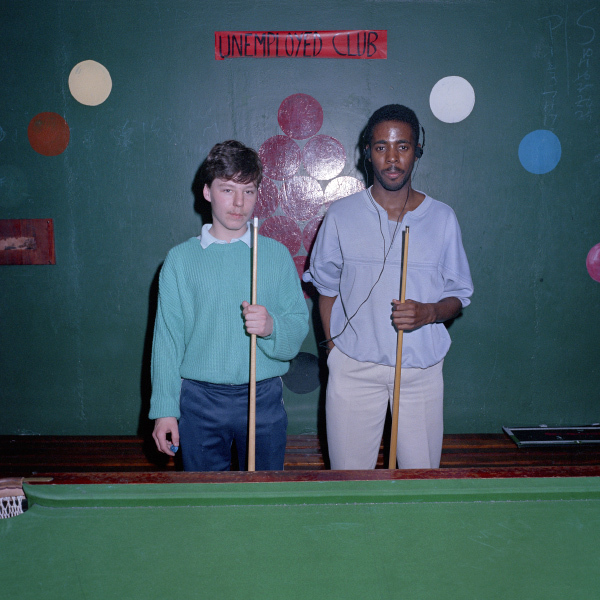 [HP 023] Boys playing pool in the ‘unemployed club’ section of the youth club. 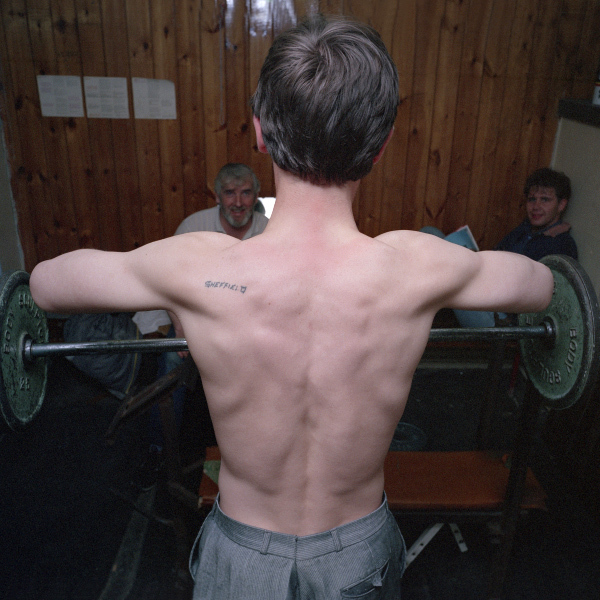 [HP 024] Simon Fairhurst weight training in the youth club. His trousers have been re-tailored to fit him. [HP 025] Girl returning home to her flat after shopping in town. [HP 026] Mr Ackforth on his way to a pensioners’ lunch at the Community Centre. [HP 027] Gavin Maybury age 9 and sister Alison age 14. [HP 028] Sisters Nola and Noel near the Samuel Plimsoll pub. [HP 030] Rachel Davies with bruised face. [HP 031] Mrs Penny Dingley with her son Paul. Paul has special needs and is anxious having to leave his home. [HP 032] Girlfriends beneath their pop poster of Rick Astley.